I am having a dilemma. 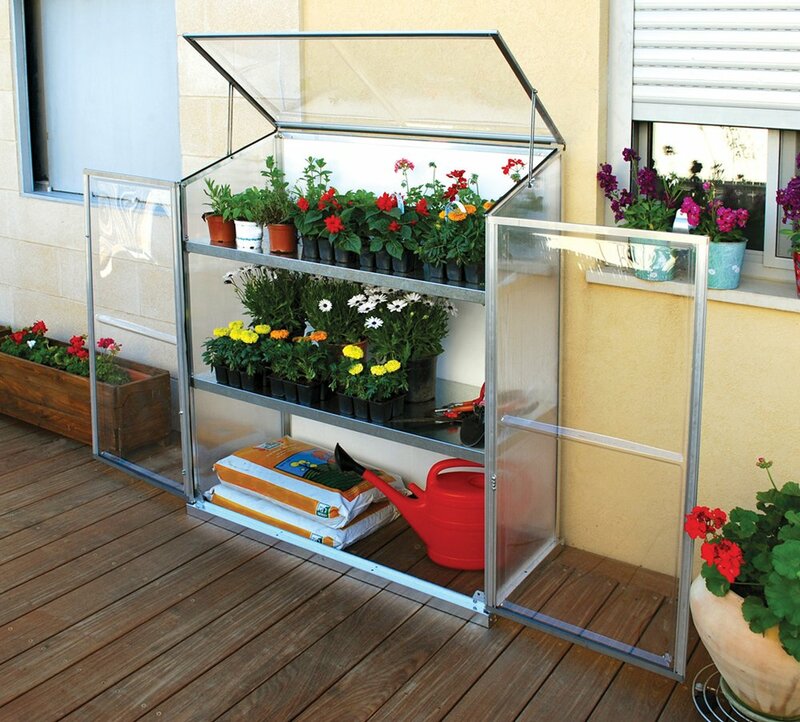 I decided that I do not want, nor have the space for, a full-fledged greenhouse. But what I would like is a small, patio sized one. Something that I can continue to grow lettuce and whatnot in during the winter. The ones online that people have made out of old windows are pretty, but I've decided against that route. I want something small, simple and ready to assemble. I have seen some interesting options. I thought this Patio Grow House seemed nice, but the few reviews I could find were mixed. I'm not factoring in the comments on any of these that involve them being light. My overly cautious husband weighs everything down like we live in a tornado prone area. It's a good thing, because I never think to do it. Then I came across this Grow Station which seemed maybe better durability-wise. 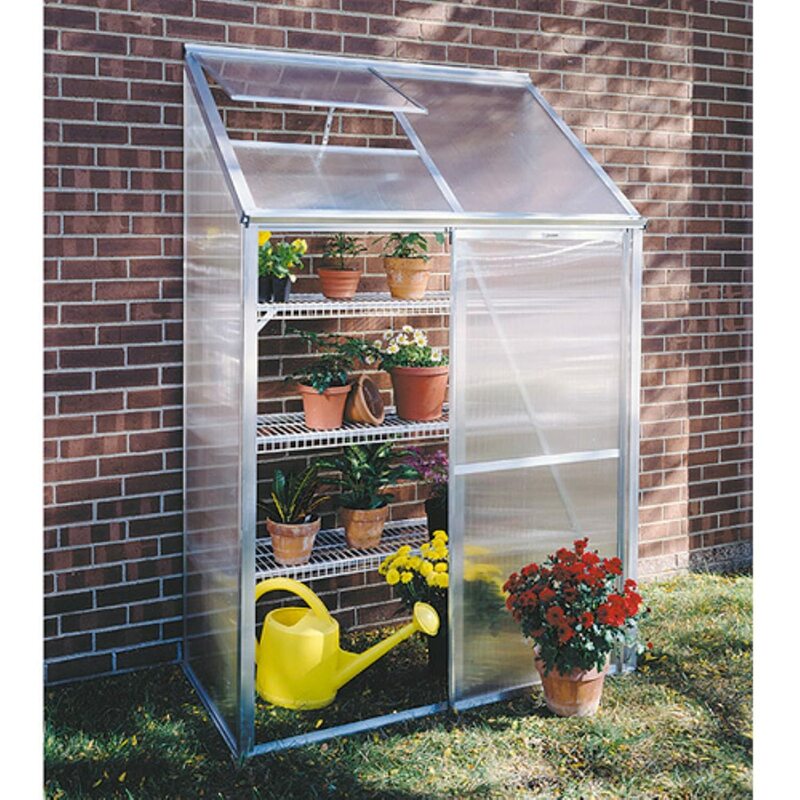 The description does say cold frame, but I have to say, it looks more like a greenhouse to me. 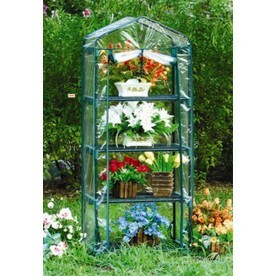 Then I came across these Lean-to Greenhouses but I can't really find anything in terms of reviews. Plus I hate ordering stuff online at places I don't know. And I like when they have actual storefronts to return stuff to. This one from Home Depot looks like it could be perfect, but of course it's online only and they're out of stock. Yeeesh. In the meantime, I have my seeds staring in the Burpee Seed Starting 72 Cell Greenhouse Kit. I used to be very DIY with the seed starting. I tried making those newspaper cups...they just got moldy and gross. I used plastic cups, that was kinda okay, but kinda a pain. I tried this out last year, and holy guacamole, so much easier. You can buy just those weird expanding pellets and reuse the trays every year. Or for around $8 be not very green and do what I did and just buy a whole new one. I'll keep you posted on the greenhouse search.